Lately, I've been getting a bit bored with my hair. Turns out, I don't like to have the same hair style/colour for too long and after a few months of having the same thing, I need a change. Previously, I had been dying my hair permanent black (bad choice on my part, more on this later) and decided that I'd had enough. For a while, I've wanted to dye my hair lavender but couldn't since I had to work this summer. 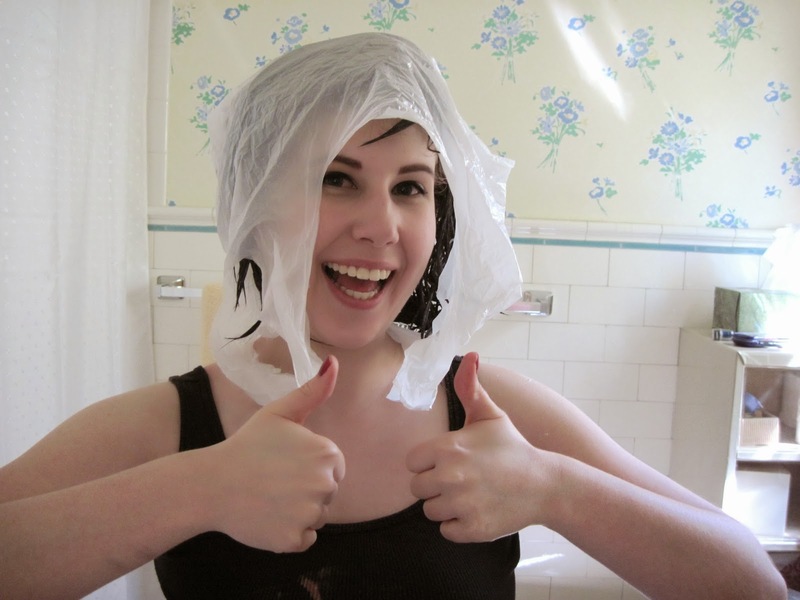 Instead, I worked on growing out some of the black in my hair so that at least part of it would be easier to bleach. Okay, enough premise, here come the pictures of my hair transformation that turned out a bit differently than I expected/hoped. 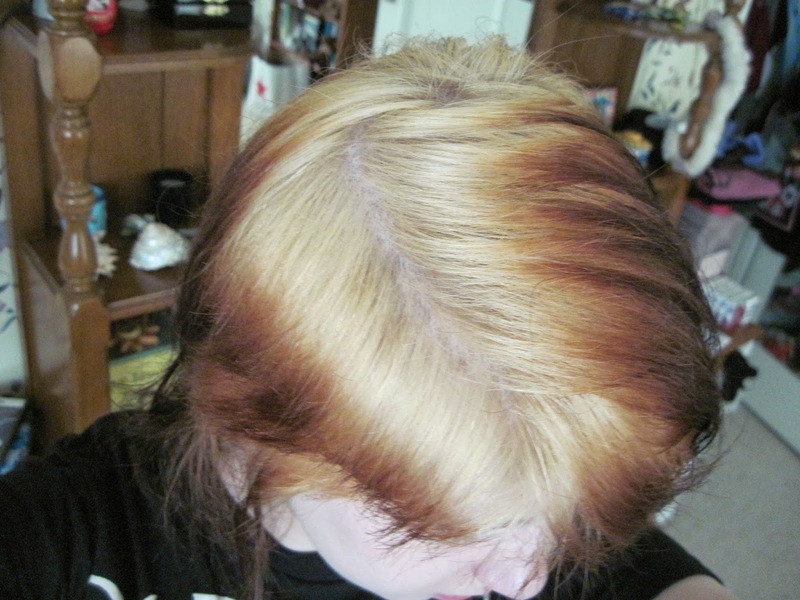 This is the bleach I chose to use. 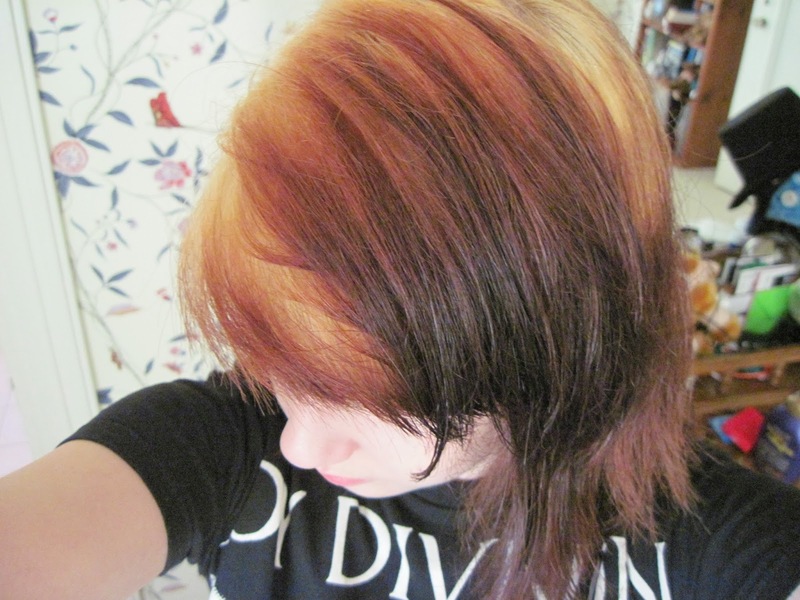 Actually, before the bleach I tried using Colour Oops on my hair but it wasn't too effective. I guess dying and redying it permanent black over many months makes it hard to remove, which is why I'm never going to do permanent dye ever again. 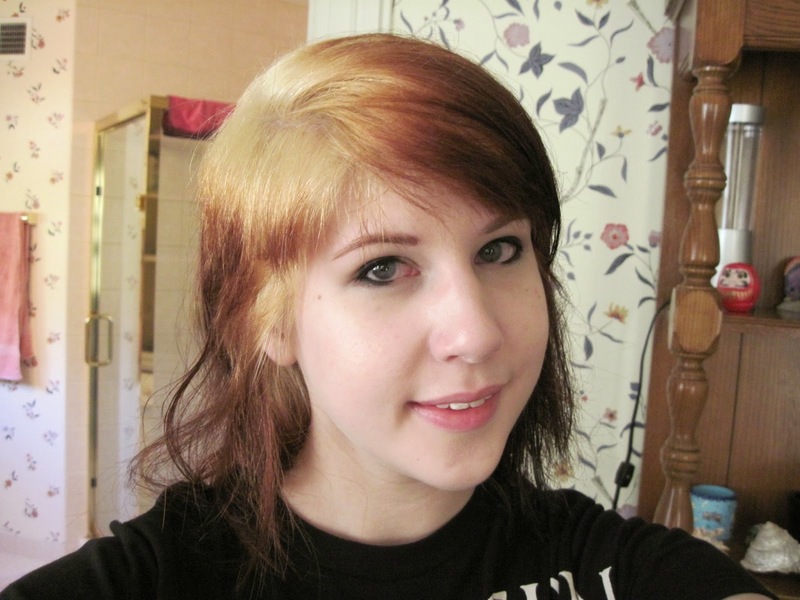 And the second bleaching. Still not enough to dye my hair lavender unfortunately :( There was absolutely no why to convince myself to bleach it a third time. I really do want lavender hair but I don't want a large portion of my hair to fall out trying to achieve that. Here it is dry. Looks much better. After a couple of days, I did get used to it and now I even like it. 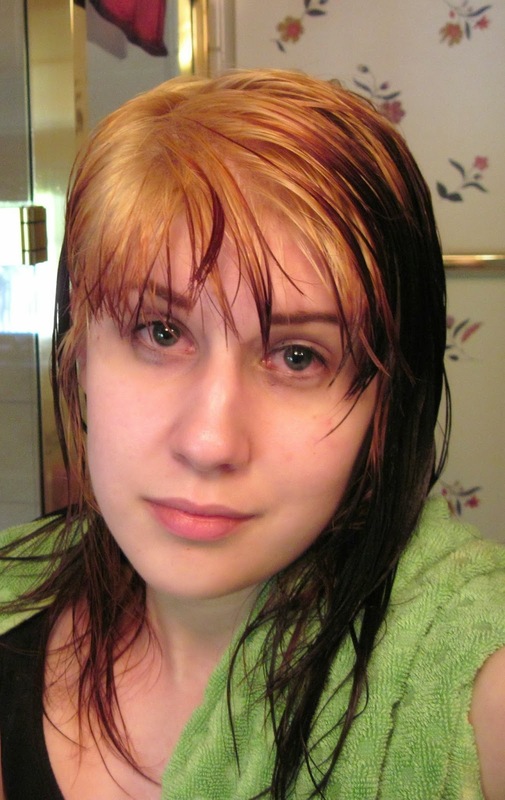 Definitely not what I had planned or hoped for, but I plan on making a second bleaching effort around the holidays. And right now, my hair is making it feel like it's autumn. I'm like the leaves, changing with the season. 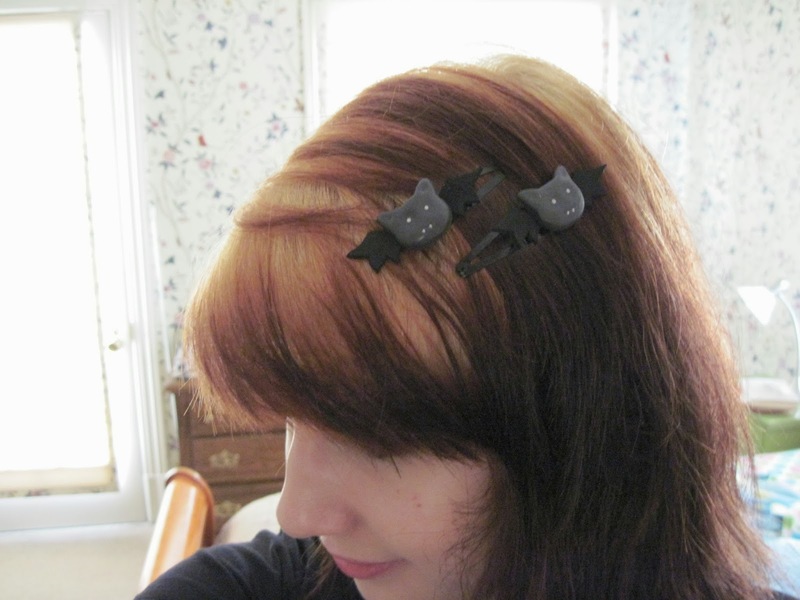 Cute little bat clips I got earlier this summer from Gothandgeekery on Etsy. woooww cool but like r u worried about lookin bald cuz like when i let my hair grow out, its all black and goth ususally but blond shows when it grows, evry1 sais that i look like i'm bald or something and that sux? 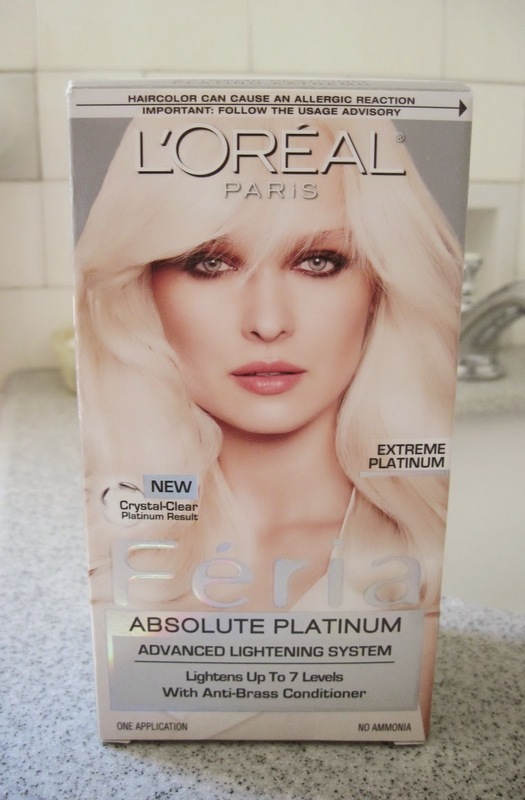 With black, since it is such a harsh/potent colour, it does require a lot of upkeep, especially if you naturally have light hair. 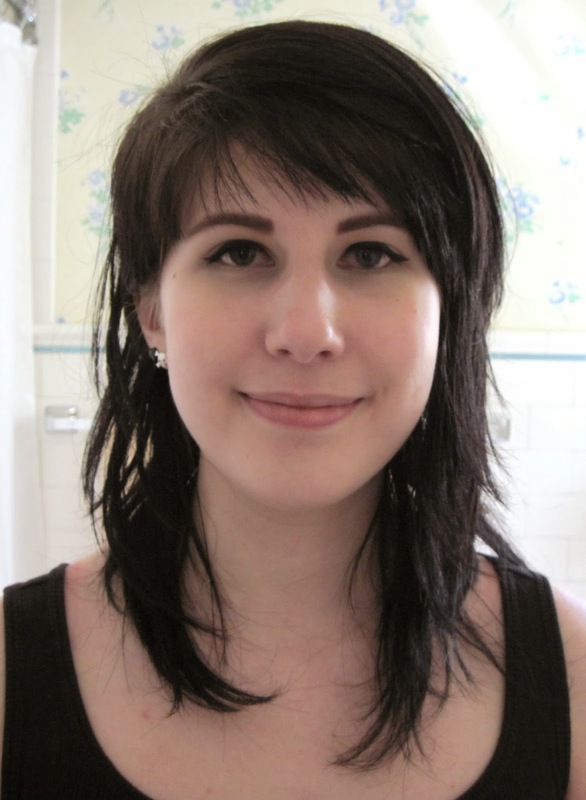 My hair is naturally brown, so it didn't look so bad grown out, but if you're worried about it looking bad when grown out you just need to touch up the roots frequently. 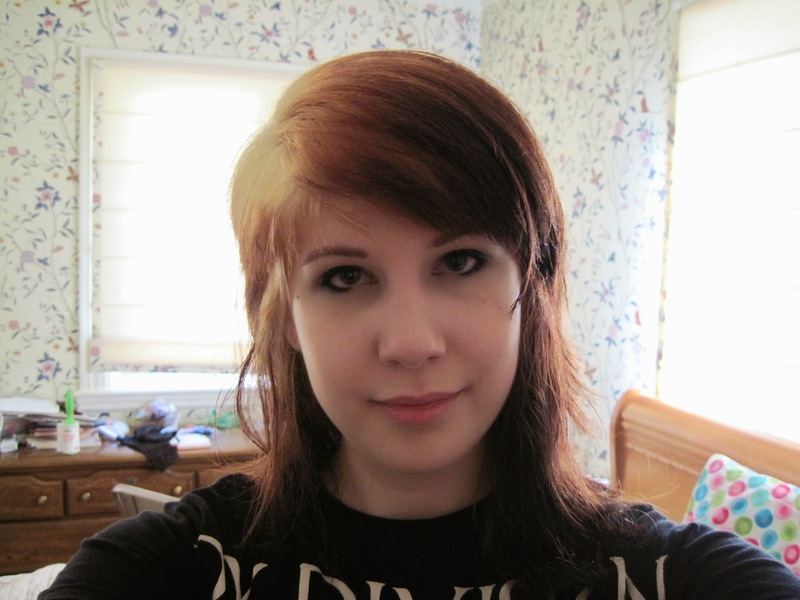 With my hair how it is now, it doesn't look too bad with the dark roots, but I do need to touch it up soon.